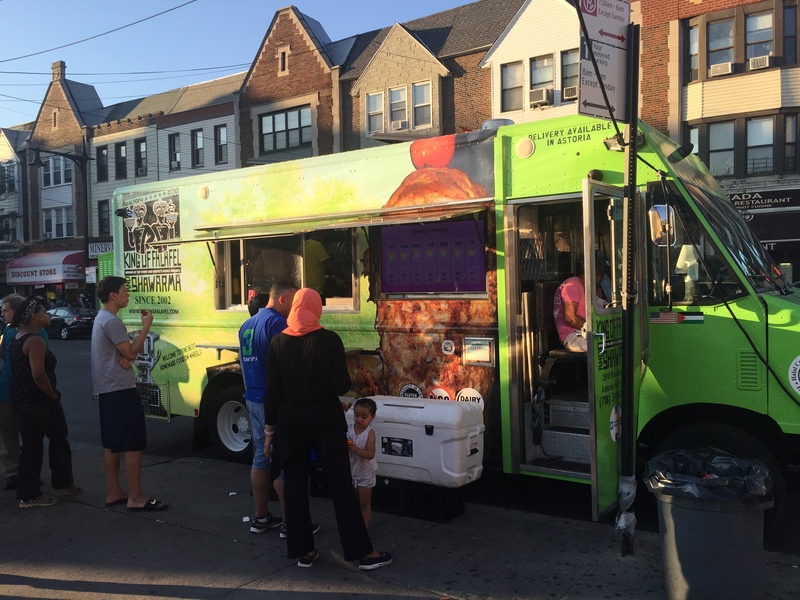 Food Truck Tours are starting to become the thing to do. 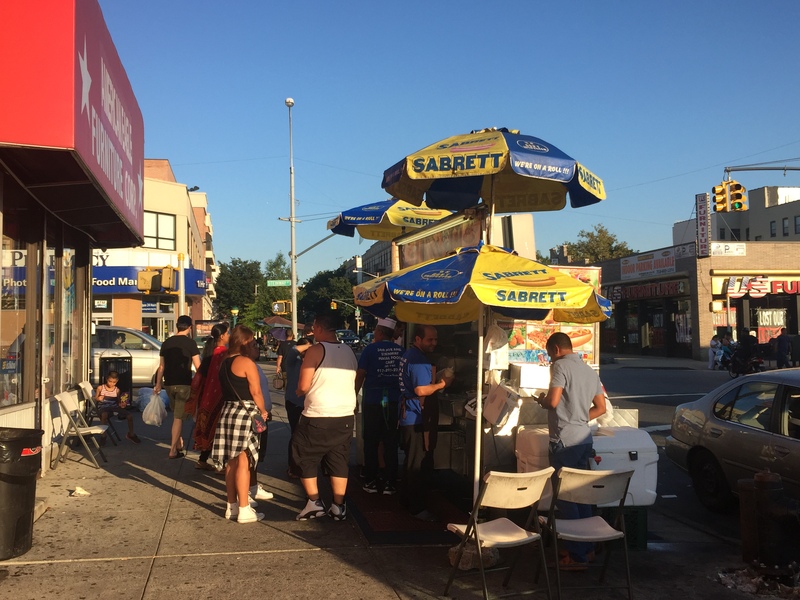 Popular foodies like Joe DiStefano (Queen’s Smorgasburg Curator) and Jeff Orlick (Jeffrey Tastes Food Tour) are leading daily and nightly food extravaganzas in food truck havens like Jackson Heights. 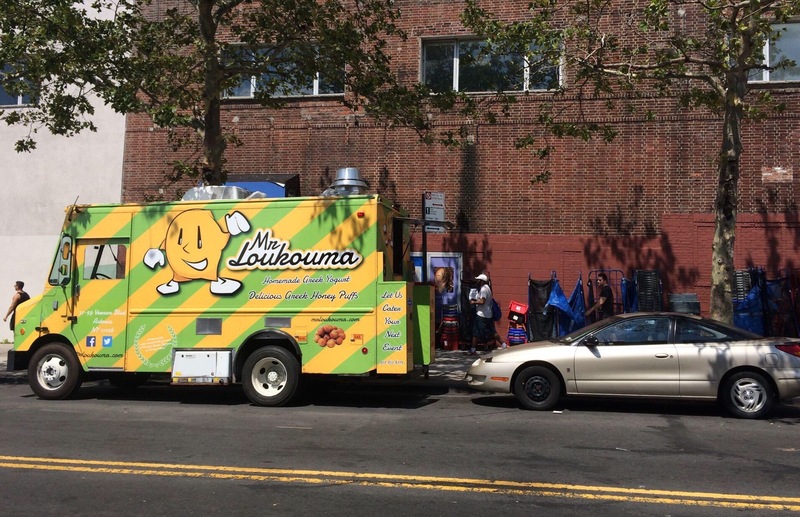 Let’s not forget that Astoria also has it’s fair share of diverse and delectable food truck cuisine. 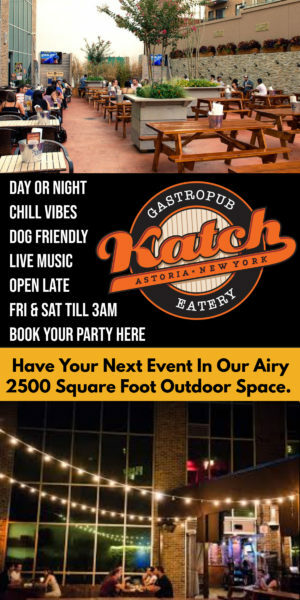 So if you need your food truck fix or simply want to spend the day exploring in Astoria, here are a variety of food trucks to get you through Astoria from Morning to Night. These tasty Greek honey puffs are a sweet way to start your morning. They also have cold frappes for your a refreshing summer morning drink. Often Found on Ditmars Ave. and 31st Street. Be Sure to check Facebook or Twitter for location. Wake up to delicious gourmet Italian coffee. 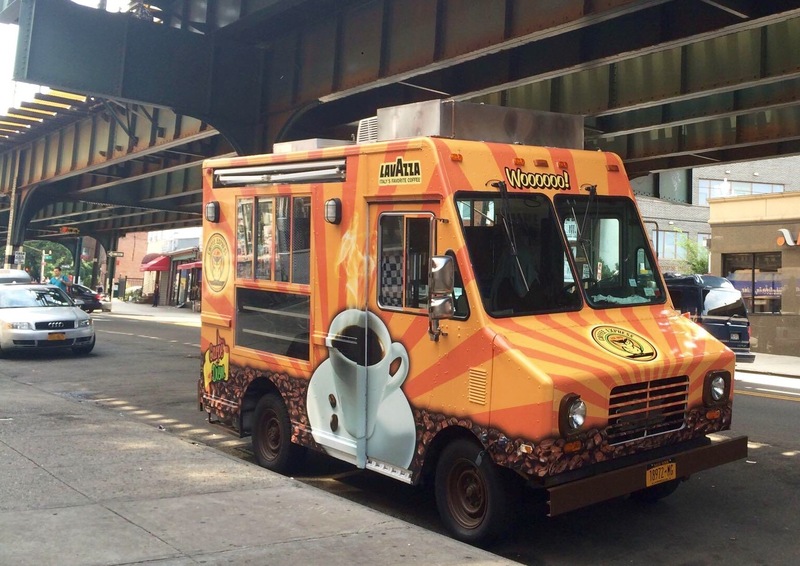 Instead of hiking all the way to Eataly keep an eye out for their truck around Astoria. 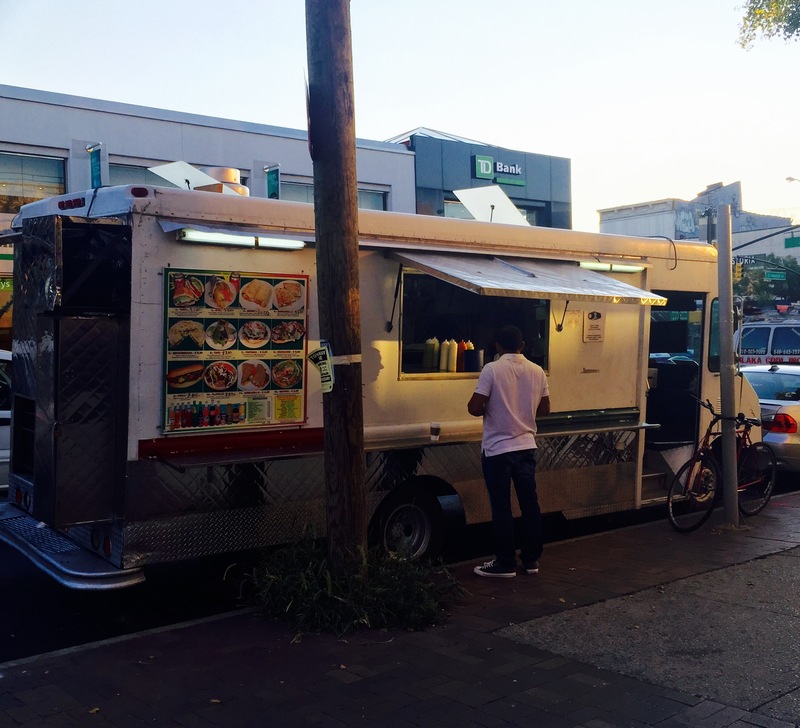 It’s been spotted around 30th Ave. and 31st St.
Stop by for a kebab for a snack or some chicken over rice or a sandwich for lunch. Though they take a bit to serve because they cook the meat in front of you on a charcoal grill, the wait is definitely worth it. Sidenote: They also do delivery. 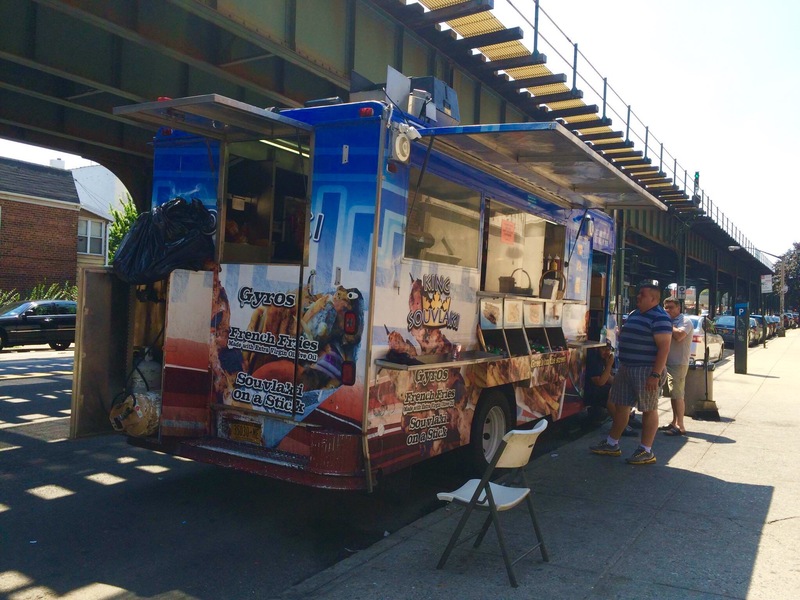 This Astoria truck classic is a local favorite. They are praised for halal platters, falafel, shawarma, you name it. If you need a big meal come here. They serve the typical meat and rice platter, but throw in a twist by adding eggplant and french fries. Another Astoria favorite, El Rey del Taco is some of the most delicious and authentic Mexican food around. They have everything from tacos to tostadas to even huaraches. The beef tacos and a refreshing Jarrito make a perfect late night meal. 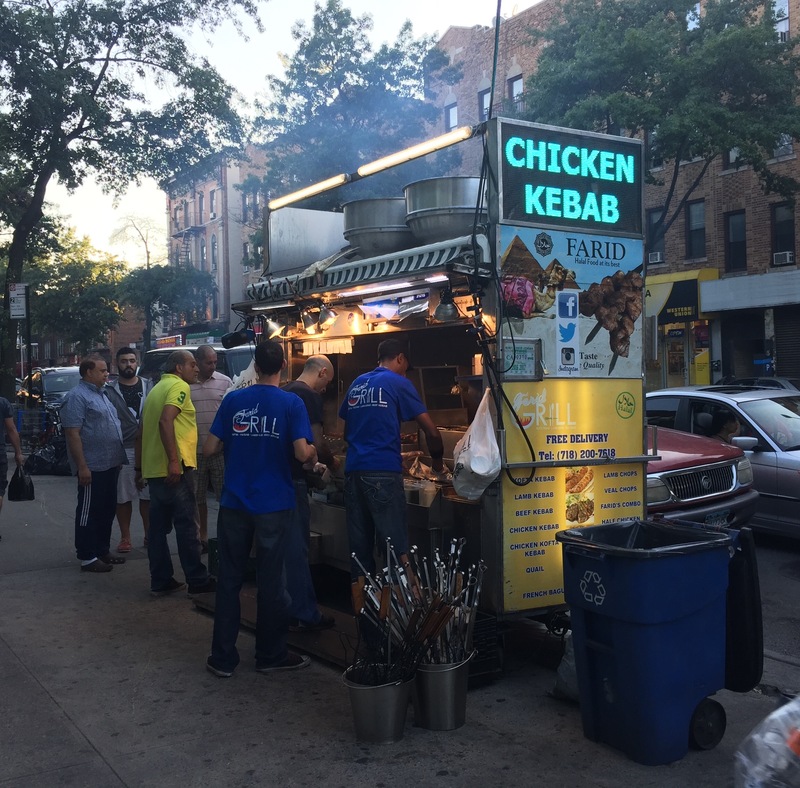 King Souvlaki of Astoria, another local staple, is also great for pretty much any meal of the day. However, their chicken kebabs and greek fries covered in fresh Greek imported feta are delicious snacks for in between meals. This doughy Hungarian flatbread can be served plain or with your toppings of choice. It’s a bit on the heavier side so it’s a great plate to split with a friend. Be sure to check their Facebook and Twitter for their location. 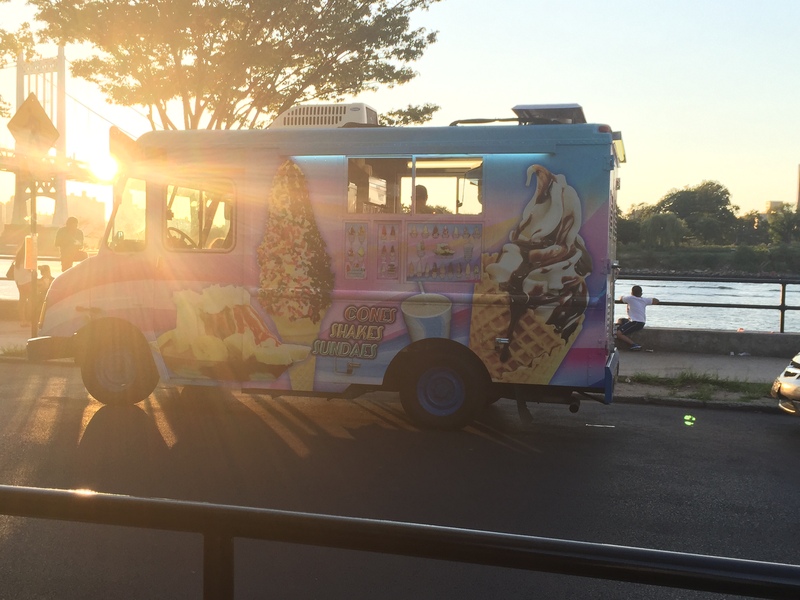 This is just your typical, straight-from-childhood-memory ice cream truck, but you just can’t beat the view. Walk off your dinner through Astoria Park and walk over to the water. 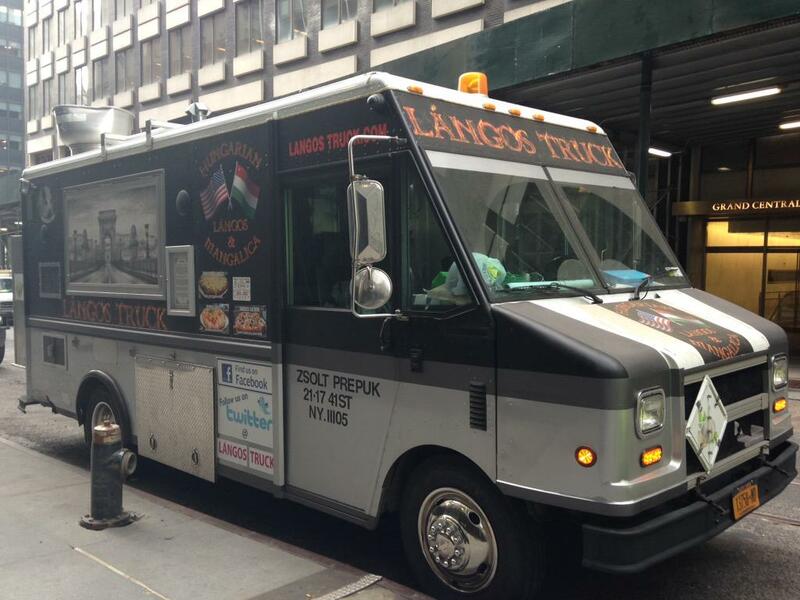 The truck will be waiting for you to satisfy that sweet tooth. 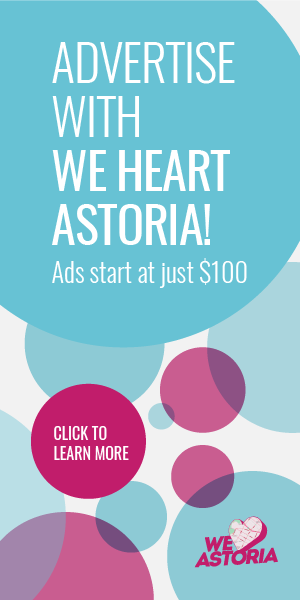 What are your favorite food trucks in Astoria? Let us know below in the comments. Franky’s Souvlaki Is one of the best!